Brand development and marketing support — Manufacturing | Greenville, S.C.
As part of an upcoming hundred year anniversary and the pending move to a new corporate headquarters located in the heart of Downtown Greenville, the management team of Duke Food Manufacturing decided it was time for a rebrand, sub-brand and new launch of all marketing support. 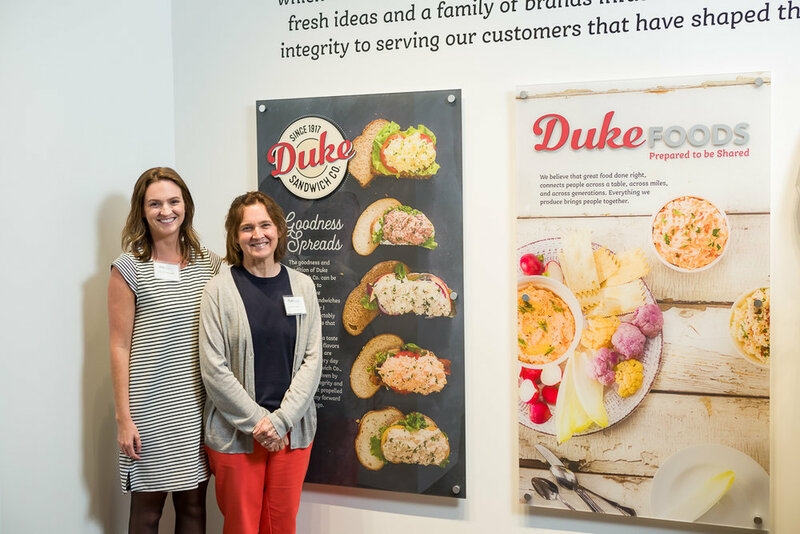 They asked us to help rebrand not only the parent company but the sub-brands which consisted of the food manufacturing facility, the historic retail restaurants and the 100-year anniversary celebration for the Duke matriarch, Eugenia Duke. We created and produced video and product photography for the new website and social media platforms. We designed multiple product packaging concepts in support of our own product development as well as driving innovative partnerships with current and new brands. The overall brand elements were leveraged across multiple channels and set the groundwork to build upon for all future marketing efforts. New brand identities to welcome in a centennial anniversary. From product packaging, corporate video, website and print advertising, Emanate created and developed brand standards to move confidently into the next 100 years at Duke Brands.